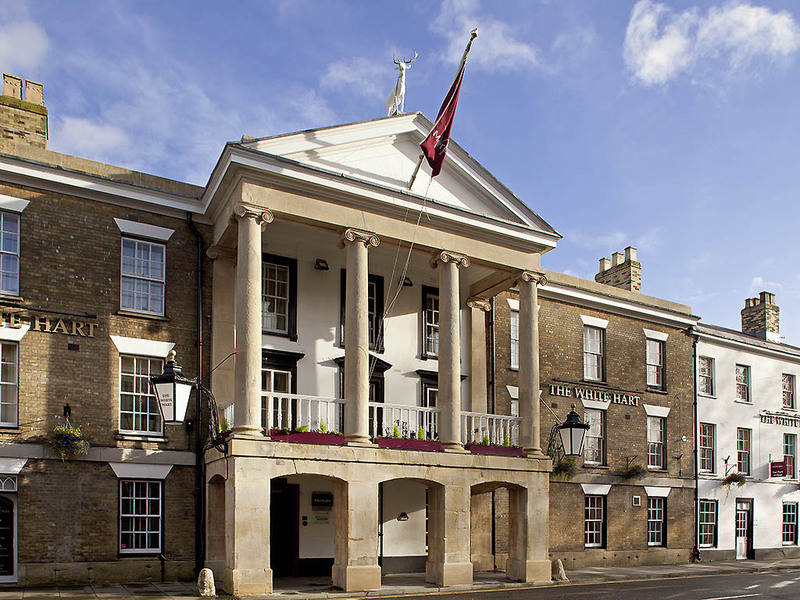 The Mercure White Hart hotel is conveniently located in Salisbury's historic city centre, close to the shopping and entertainment district. The city's famous cathedral is a short five-minute walk away, while Stonehenge is located just 12 miles away, making this an ideal place to stay for those wanting to visit the famous site. The hotel is set in an elegant Georgian building and offers a charming garden with and outdoor seating, perfect for relaxing on warmer days. Situated in the medieval market town of Salisbury overlooking the famous cathedral, The White Hart is steeped in history. It has played host to many celebrated figures over the years including Charles Dickens, Sir Walter Raleigh and Mark Twain. Spires Bar & Lounge, the meeting place in Salisbury for a relaxing morning coffee, lunchtime snack or a traditional Wiltshire Cream Tea, or simply return to the hotel for a quiet drink and a bar snack after a busy day. Ett trevligt hotell med bra läge och parkering men väldigt engelskt med separata vattenkranar i handfatet och duscha i badkar gillar jag inte. Kranen i badrummet sliten.kalk i dusch munstycket som gjorde att strålarna åkte åt alla håll. Översta fönstret gick inte skjuta upp utan hade en glipa på 10cm Behöver fräschas upp! Mycket trevligt hotell, bra personal, bra rum, bra läge, parkeringsmöjligheter. Jättecharmigt, fina rum, jättefin frukost.